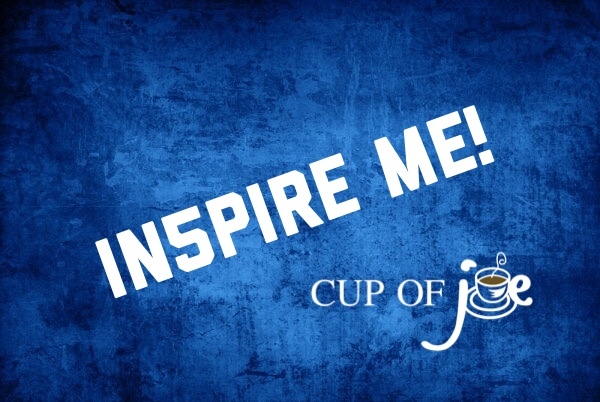 Inspire me! What does it mean to be inspired? It means to be lifted to a higher level. I have an internal desire to be lifted higher in some way each and every day! There are just so many things and people pulling me down that I crave a little lift all the time! I think we all need to find places of inspiration and ways to be inspired. When our spirits are up, our energy and productivity increases too. Finding inspiration can be a challenge. Here's "5" ways that I find a little lift that might be useful for you too. 2-write down something that you would like to see in you...maybe a characteristic or an emotion. Sometimes you have to see it to be it. 3-find some folks that do what you want to do and have coffee or lunch together. Being in the presence of folks that are doing what you want to do can energize you and ignite your passion too. 4-take a walk without your headphones in and pay attention to what you see and hear. Besides that, a little exercise can always get the juices flowing again. 5-pray! You should probably do this first because God can lead you to the right places and the right people if you are looking for them.